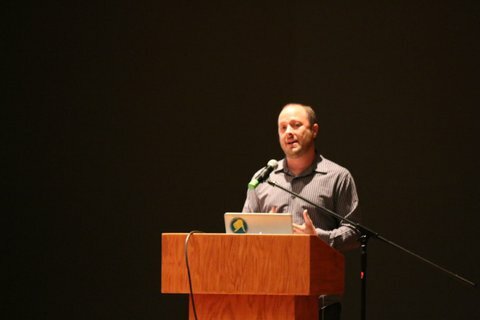 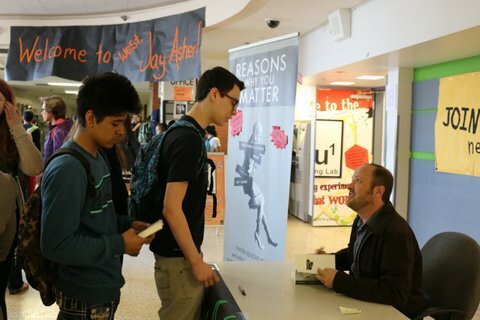 On April 24th, we had the honor of hosting New York Times bestselling author Jay Asher. 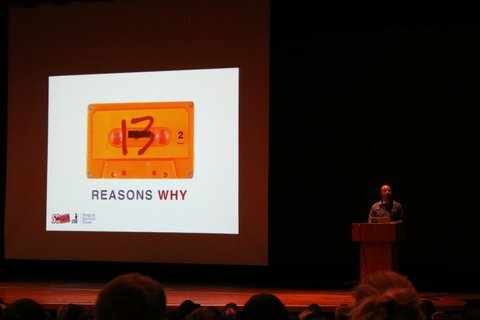 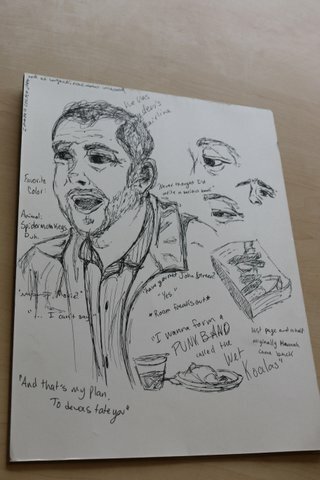 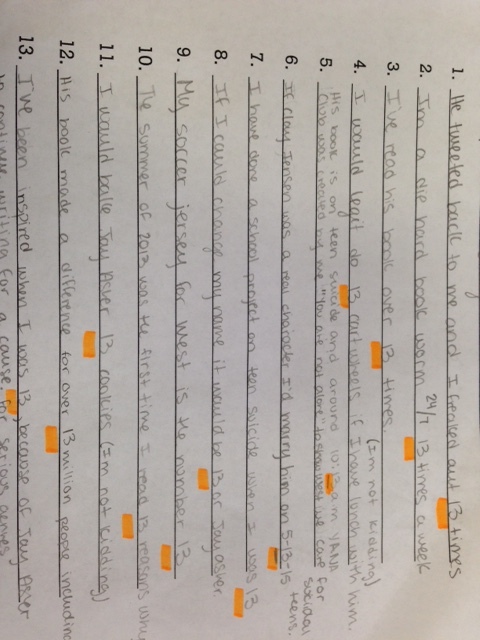 Many students have been profoundly affected by his most famous novel Thirteen Reasons Why. 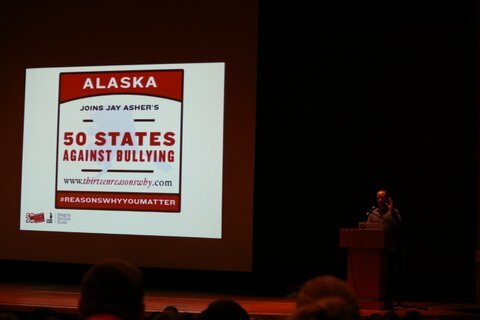 Mr. Asher visited West as part of his Fifty States Against Bullying tour. 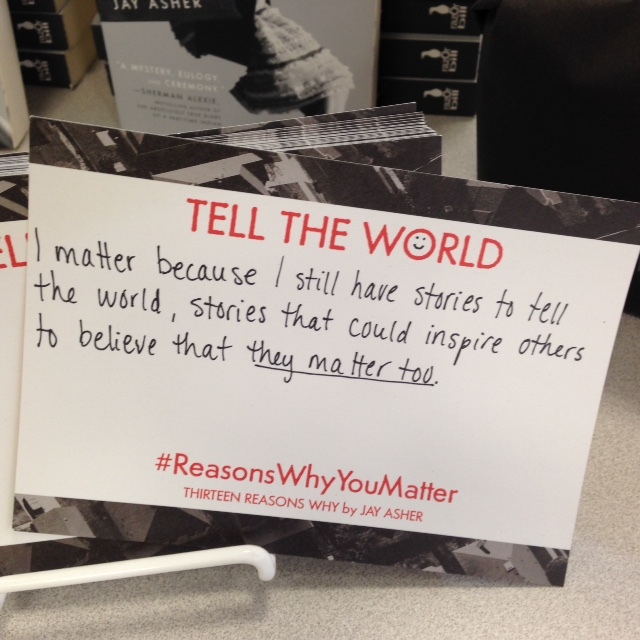 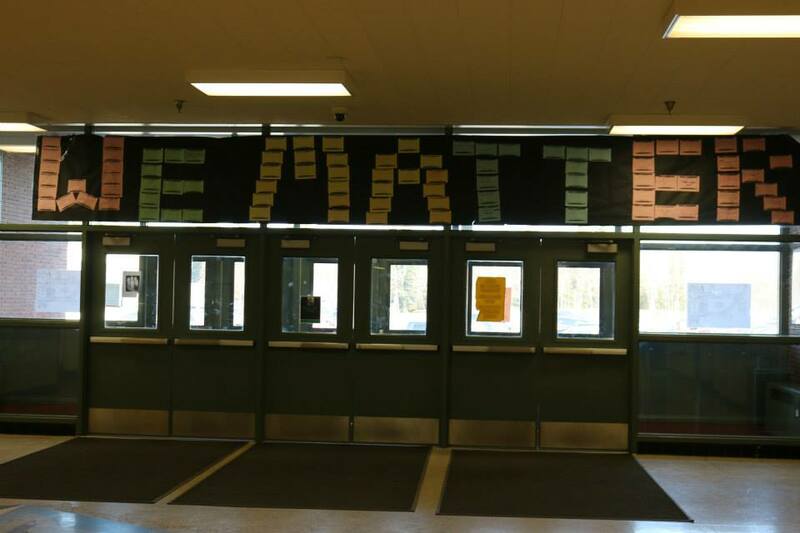 Before his visit, students filled out #ReasonsWhyYouMatter cards, which the student government class hung around the building. 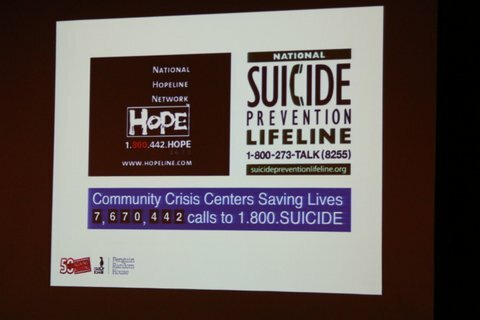 During the assembly he talked about writing, bullying, and suicide prevention. 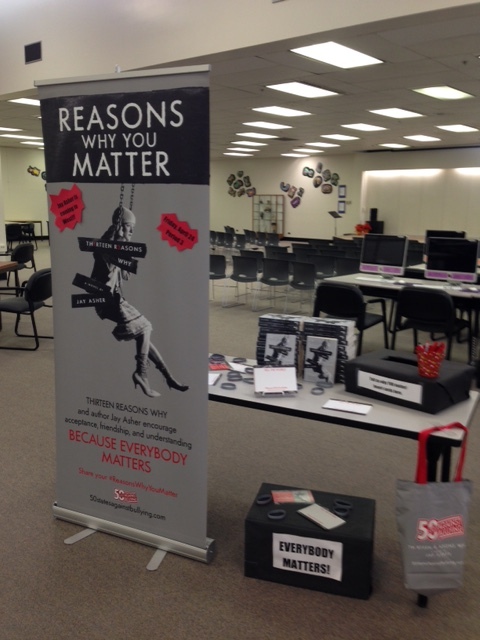 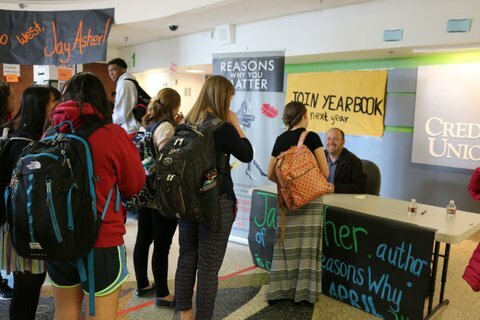 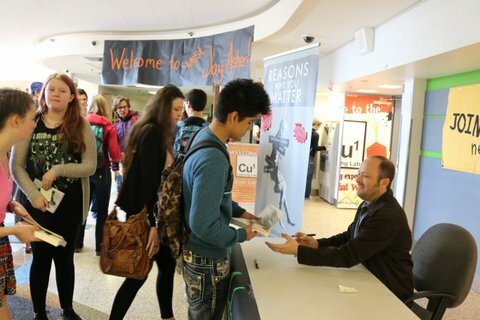 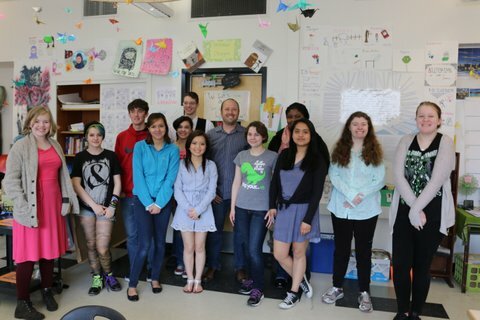 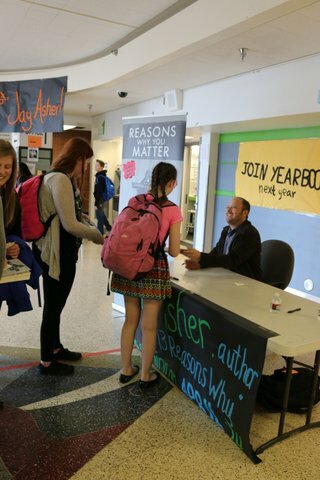 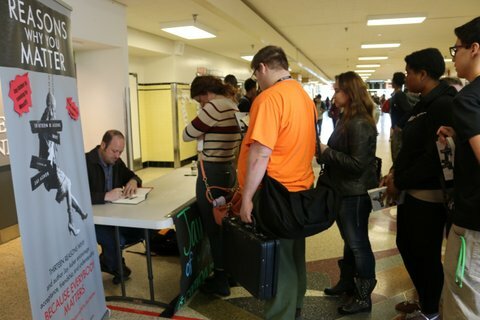 We held a contest “13 Reasons Why I Want to Eat Lunch with Jay Asher,” and 13 students were selected to attend a luncheon with him after the book signing. 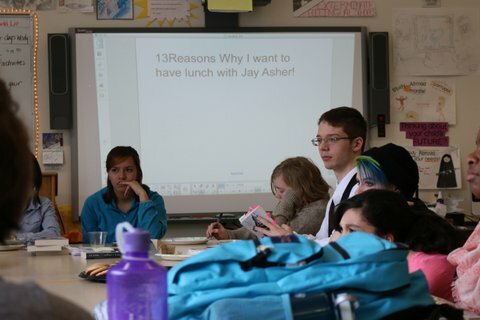 They had a great chat about the book, the upcoming 13 Reasons movie, and why Selena Gomez was selected to play Hannah. 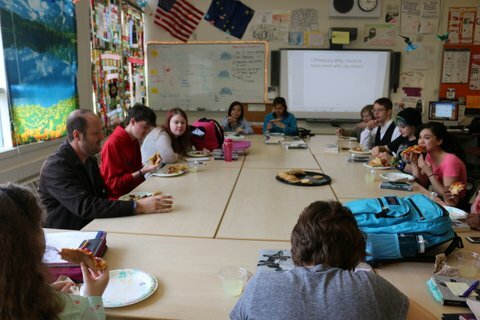 He also shared funny stories about their other favorite YA authors, from John Green and James Dashner to Stephen Chbosky and Jerry Spinelli. 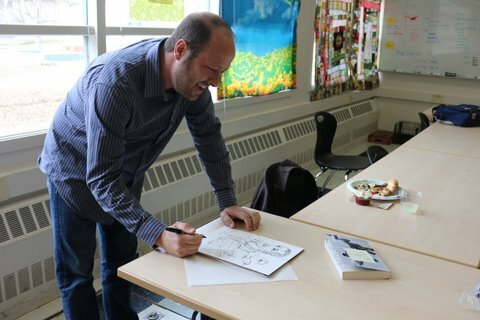 We were so fortunate to have such a beloved author visit our school. 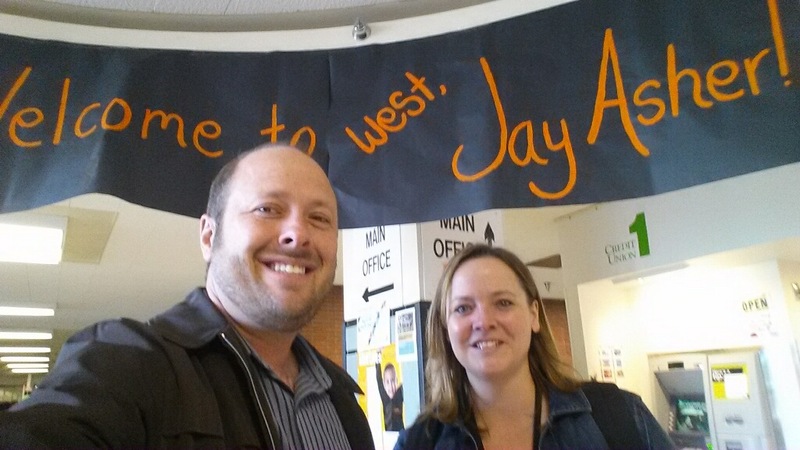 Thanks to the West PTSA, West High Alumni Association, and Ms. Tinker for making this happen!